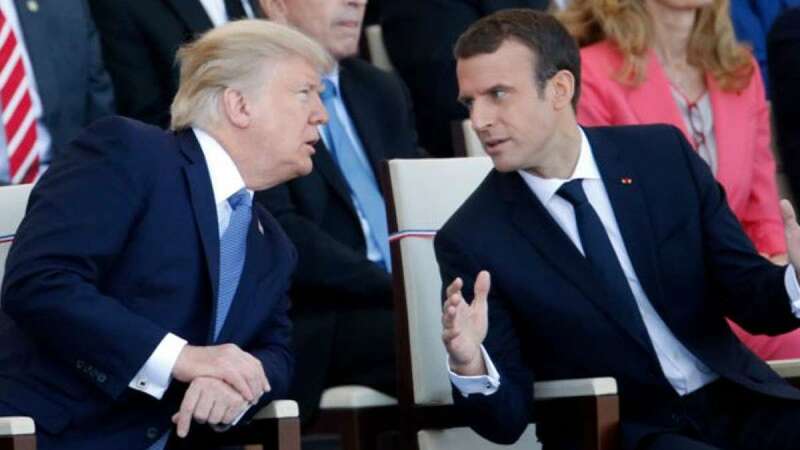 Paris : French President Emmanuel Macron and his US counterpart Donald Trump discussed the situation in Syria's rebel-held enclave in Eastern Ghouta where chemical weapons had allegedly been used against civilians, Macron's office said on Monday. The two leaders, during a phone conversation on Sunday, "exchanged information and analysis confirming the use of chemical weapons (and) had instructed their teams to deepen exchanges in the coming days", reports Xinhua. Pledging to coordinate action under the framework of the United Nations Security Council, they stressed "all responsibilities in this area must be clearly established." Activists, local rescuers and rebels in Syria claim that Syrian forces used chlorine gas in the attack on Saturday against Douma, in the rebel-held area near Damascus. The Syrian government has denied the allegations and called it fake news. Earlier on Monday, the Organization for the Prohibition of Chemical Weapons (OPCW) said it was investigating the incident and has made a preliminary analysis of the reports of the alleged use of chemical weapons.